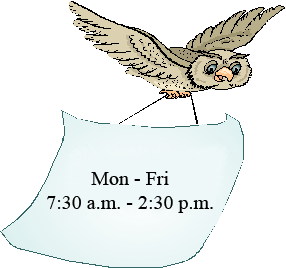 The WMS Library Media Center is open to patrons during regular school hours. Each WMS student will visit the library with the Communication Arts teacher, weekly. The LMC is closed for lunch during 5th hour daily. To speak with Miss Hash-Staley you may call (636)464-4480 or send an email.